This expression comes to life in the ways people dress, interact, live, work and play in the city. Yet those of us who live in Berlin know there are still exceptions. 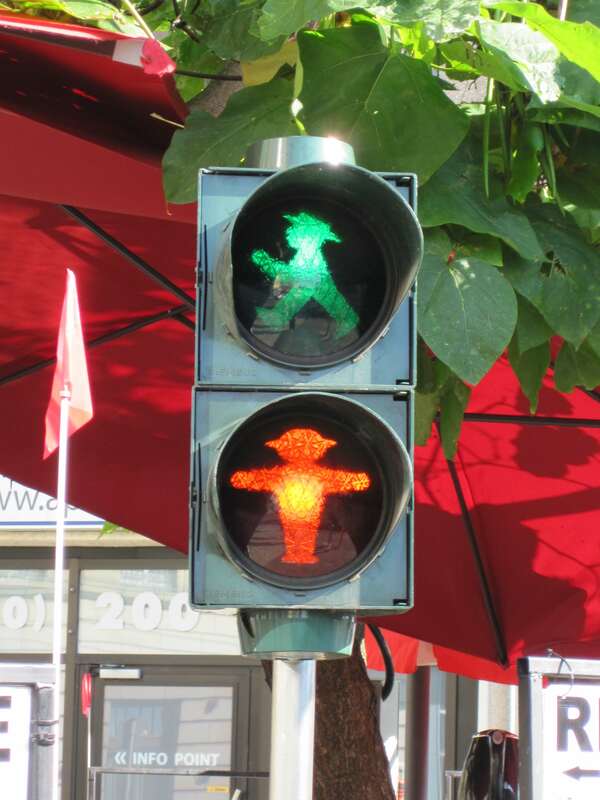 The red or green Ampelmann is an iconic image from the time of the GDR but is now seen in crosswalks throughout Berlin directing people to wait or to walk. Watch for this, and you‘ll see it all over the city. It is understood that an acceptable order is needed to hold together people with such a wide diversity of expression. 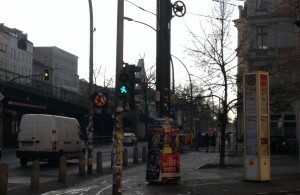 This order creates a freedom that makes Berlin an attractive city. In ancient times, the cities of the world were developed for safety. Behind their walls were rules intended to create order and stability. This stability allowed for the expansive growth of human civilization. The root of the word “civilization” is “civil,” which implies organization and order – an important element of any great city. The sociology of the city – how people and things function – brings us to a deeper truth regarding all humans. At our core, we crave and need some semblance of order. This doesn’t just apply to rule-followers. Even out-of-the-box thinkers use boundaries to both define themselves and to create new ideas. From a Judeo-Christian standpoint, the foundation of this order is found in the story of God in the Bible. Many of the laws that govern societies in the western world originated from this worldview. The Bible contains the teaching of Jesus and the deeper truths of God, namely that humankind can find the saving grace of God uniquely through Jesus. Jesus, who practically points us back to God, expressed this truth, or order, for life. Truth is not owned by human reasoning but given to us by divine expression. If there were a deep truth in how humankind was created and best functions – now that would be good news! This is why the message of salvation of the Bible is called the “gospel.” Gospel literally means good news. Charrette sees the gospel of Jesus Christ as good news and hope for the city. This is the essence of our gospel-centered value. If you are reading this and have only heard about Christianity from someone else, don’t make a blind decision. That would be an epic mistake, as people can inadvertently bend truth to their own liking. Read the Bible and let God convince you. What do you have to lose besides a small slice of time reading an interesting story?